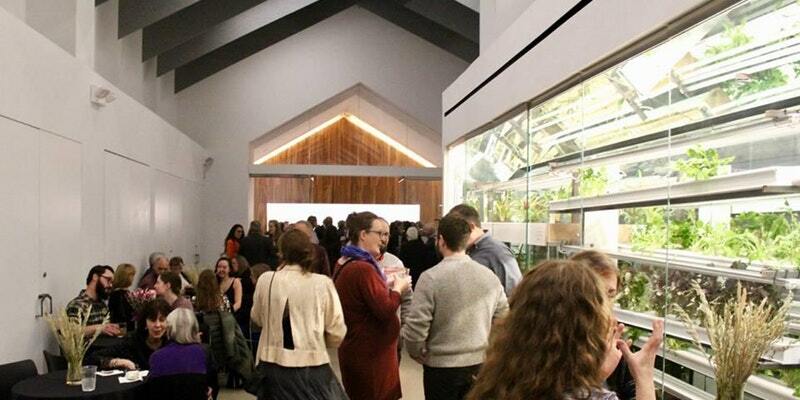 Join the NYC Agriculture Collective for its third annual Fresh in February event, taking place on Thursday, February 28th from 6-9:30pm at Project Farmhouse. Where else can you find fresh, local produce in the middle of winter? Luckily, New York is chock full of urban farms that grow all year round. Join the NYC Agriculture Collective to celebrate our winter harvest for the third year in a row at Fresh in February and observe why New York strives to become another large agriculture economy, second to California! Our diverse collection of urban farms, urban agriculture service companies and NYC-based agtech businesses invite you to taste fresh local food as part of a unique food experience at Project Farmhouse in Union Square. The evening will consist of an exclusive venue where local, year-round farmers will display how they are making agriculture possible in the wintertime in NYC. The event will include a speaker series, networking with urban farming and Ag-Tech professionals, delicious locally grown food, local beers and wines, and farm tables showcasing what is being grown right in your NYC backyard 365 days a year. The NYC Agriculture (“Ag”) Collective is a growing network of farmers, technologists, and entrepreneurs in NYC and the surrounding metro area dedicated to the promotion of resilient urban agriculture. The Collective comprises both private ventures and nonprofit organizations and champions initiatives that directly benefit farming in all five boroughs.